Today, in India, a majority of the economically better off folks live in nuclear families, with the result that children no longer have to share a bed room with parents or other family members and are fortunate enough to have their personal space. 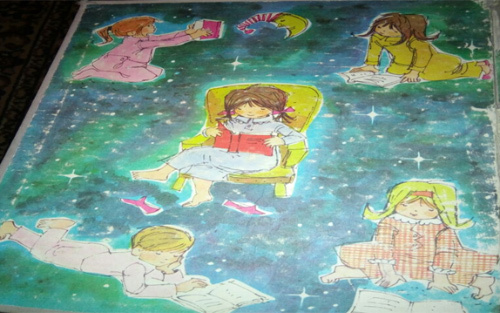 So a first step towards a better bedtime is letting your child have a say in how his or her space is decorated. Simple things like allowing them to choose nursery print curtains and towels and linen for their room or for older children, picking out the paints for their room or choosing the type of bed they would like. Give them a budget by all means, discuss the pros and cons of their choices, but do allow them to have the final word as it will go a long way in making them feel synonymous with their own room. There’s nothing more comforting than snuggling under a duvet of your own choice after a long day…no matter if you are an adult or a child! After a child is a year old and starts toddling around, you will start noticing definite likes and dislikes. So go pyjama shopping! Show the child bright prints with teddy bears and balls and dolls in attractive colours and say ‘choose’. You will be surprised how much they enjoy the process, though they may not understand much of it at that stage. But once they hit their twos and threes it makes it that much easier to put them in nightwear they have ‘chosen’ themselves! The bath and brush ritual before bedtime is a must of course! Instead of dragging your child to the bathroom kicking and screaming, give an advance warning that it is going to be bath time in ten minutes, so the child is forewarned and can start winding up play. My own daughter, as a three, four and five year old, used to deck herself up in costume jewellery every evening! It would take her ten minutes just to remove her bangles and necklaces.. So even as I was busy with something else, I would call out a few minutes before it was actually bath time. This way I did not waste precious time waiting for her and she, too, could remove those sparkly ornaments at leisure and also put away any toys that she had taken out. Brushing after an early dinner is non negotiable of course. But do let them choose the shape of their tooth brushes too. Once you have established which brand you want, show them the car and bear and doll and spider man or superman shapes available these days and let them pick a nice brush! See how fast they pop it into their mouths, morning and night! Many young children are petrified of the dark and so it is a good idea to have a dim light on throughout the night. (And never use the fear of darkness to discipline your child. Otherwise you can forget about them ever moving into their own rooms!) Let your child pick out a nice night lamp that matches the theme of the rest of the room and allow him to switch it on himself, before getting into bed, so that he feels reassured that there is light shining through the darkness! The other advantage of a night lamp is when your child calls out for you in the middle of the night, for water or because she is feeling unwell, you can rush straight into the room without the fear of stubbing your toe or tripping over something on the floor. Make sure it is a zero wattage bulb, as brighter lights interfere with the circadian rhythms of the human body. 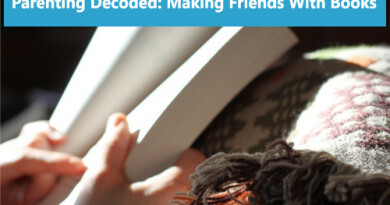 Bed time stories: These, I feel, are the most important part of the bed time rituals as they are going to cultivate a lifelong love of reading in your child. Listening to a parent read a happy story just before he or she falls asleep, soothes a child and the rhythmic pattern of the voice he or she has heard since before birth, lulls the child to sleep. Again let the child choose! Many children become comfortable with a particular story and want to listen to it every single night before bed! While I agree it is extremely tedious and boring for us as parents, remember it is just a phase and soon the child will surely move on to another story! 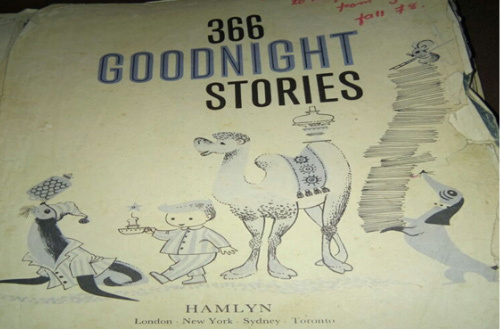 My personal favourite is 366 Goodnight stories from Hamlyn. This book was available in the seventies in India and I doubt it is in print today. But there are stories and poems for each day of the year and each one is thoroughly enjoyable. Similar books are available in bookshops and online today and it’s a great idea to invest in one. That way you have a better chance of reading the story for that particular date instead if the same one a hundred times! Good luck with those bedtime shenanigans! Also do note that electronics play no part in good old bed time basics. So do keep children away from cell phones, televisions and other electronic devices, especially for a few hours before it is time to hit the bed.